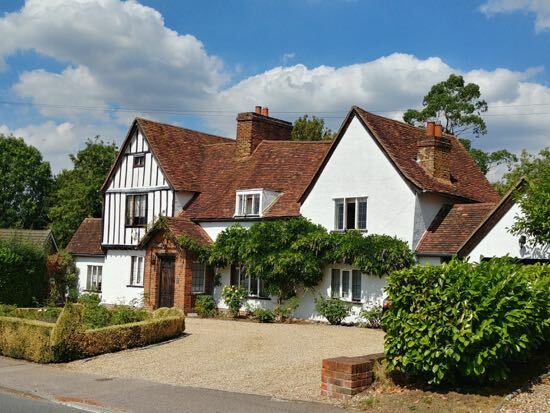 Many will pass some of the 45 listed sites in North Mymms every day without realising that these protected properties and landmarks are now a preserved part of the nation's history. 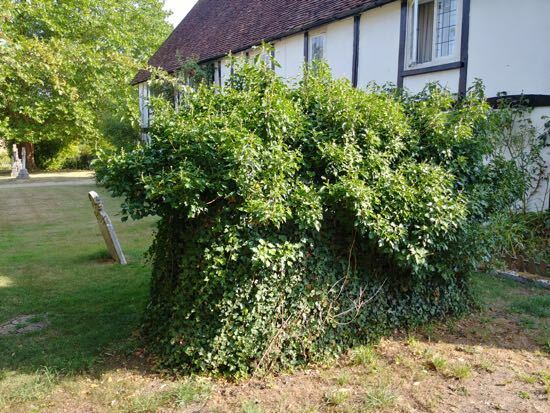 Some travelling by train or road probably pass two hidden in the undergrowth and bushes. 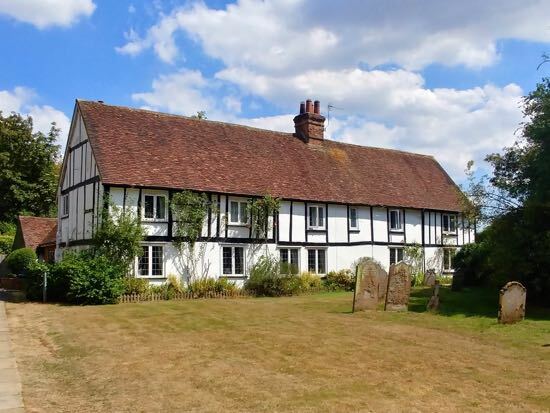 The North Mymms History Project has used data, compiled by Historic England, to create an interactive map (embedded later in this piece) of all the listed sites in the parish. Those commuting to London by train will pass one listed site twice a day, but might have not spotted it. 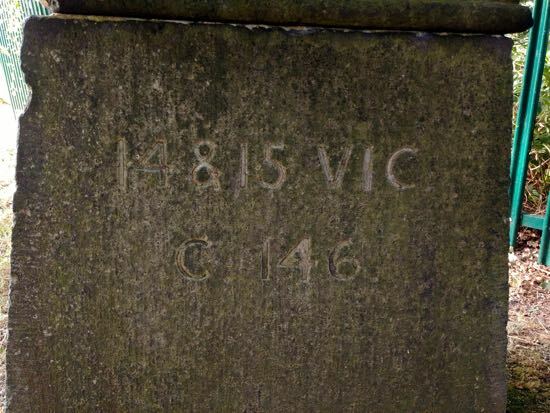 It's the duty stone at Hawkshead on the east side of the railway line at the top of the golf course (Grid Ref: TL243027). Look to your left as you pass under the Hawkshead Lane bridge heading south. But there is one listed item missing. 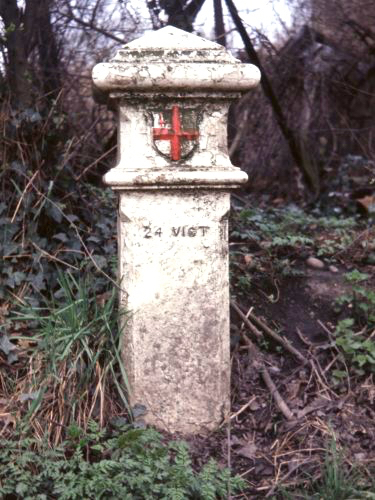 A London coal duty marker used to stand at the junction of Hawkshead Lane and Warrengate Lane, but it disappeared in the 1980s. The marker can just be seen in the image below if you look for a small white post to the middle left of the image. According to Historic England the missing coal post will remain listed in case it's eventually found and restored to its original position. 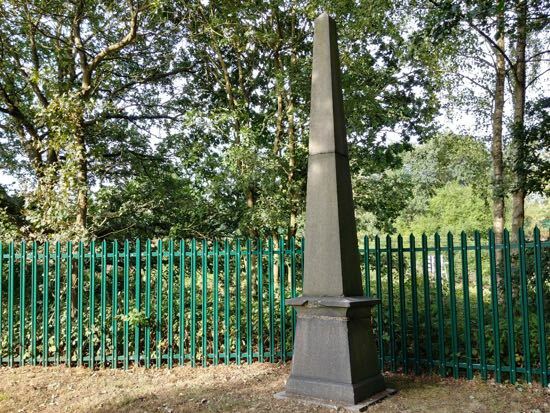 A spokesperson told this site that objects such as coal duty markers, boundary stones, mileposts, and even telephone boxes are often victims of theft as they are relatively portable and sometimes turn up in scrap yards, in private collections, or on eBay. The image above is currently the last known photograph of the Warrengate Road coal post. It was taken in 1972 by historian Martin Nail. Martin runs a site which maps all the coal posts around London. The missing Hertfordshire post is item number 32 in the list. There are three more listed coal posts in North Mymms. They are all in Little Heath on Church Road, Hatfield Road, and Heath Road. 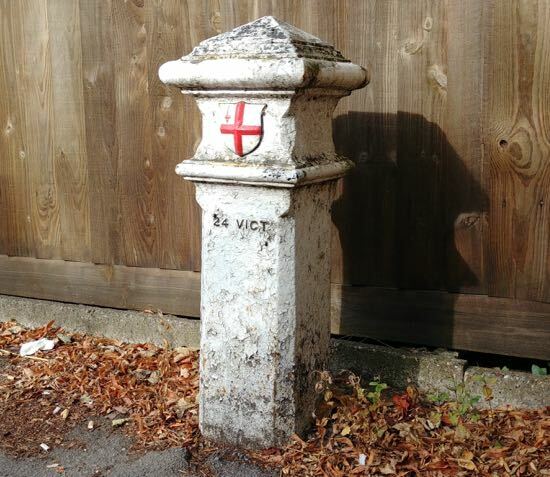 This site has a feature about the coal posts of south Hertfordshire. There are four listed tombs in the churchyard at St Mary's Church, North Mymms. One was repaired in 2018, two appear to be in good condition, but one is covered in ivy and is in need of attention. You can use our interactive map below to find out more about the historic sites listed in North Mymms. Just click on the icon to read more, then click on the images to see a larger version. You will notice two shaded areas. The large green area marks the parish of North Mymms. The orange shaded area is Gobions, a space on the register of parks and gardens. This site is grateful to Historic England for making the data available. The map is a work in progress. 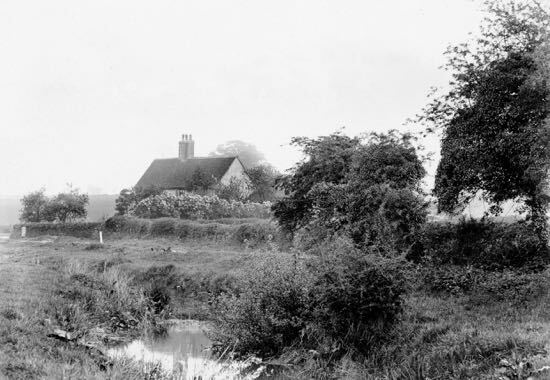 The North Mymms History Project team is continuing to update the information contained on the map, including details of the sites and adding old and new images to the entries.